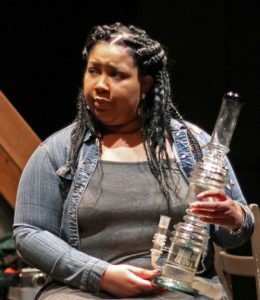 “Pass Over” presents a story to two families with decades of experiences as neighbors, employees, employers, and even some romantic encounters along the way in a new drama from local playwright Michelle Tyrene Johnson. 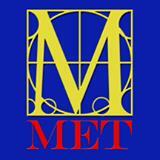 The play opened April 5 and plays weekends through April 29 at Olathe Civic Theatre Association. Evening performances begin at 8 p.m. and Sunday matinees begin at 2 p.m. “Pass Over” follows in Johnson’s dramatic genre where clashing parties discover more and more about their past as they resolve present situations and shine a light toward a more successful and understanding future. 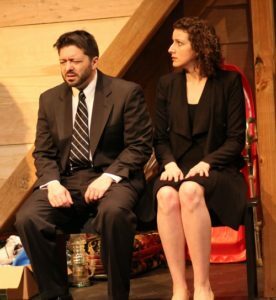 “Pass Over” sounds like a play about Jewish people and their celebration, but the play is more about the intricacies and darker nature of the relationship between the two next door neighbors. The families, one Jewish and the other Christian share more that just casual chit-chat and neighborly regard. In fact, from the first scenes the anger and angst between them becomes evident. A simple visit to express condolences over the loss of the Washington family’s grandmother’s death shows anger, nervousness, anxiety, and bitterness. Even prior to the visit, the rift between two siblings shows an awkward nervousness and level of distrust and anger. The feeling of anger and mistrust seem to overtake all the characters and sends an air of discomfort from the stage. The anger and reasons for the anger become more and more clear as the play progresses, but some things just happen too fast and the audience is shocked at the rapid developments. Johnson carefully drops hints throughout her play, but it’s not really a mystery. The play just does not have grab and spin the audience like a mystery would, yet it does not flow smoothly as a drama would with sharp corners and deep revelations. There are plenty of boxes to unpack in the Washington attic, and each contains elements to tell the story. Within each box, there seems to be information to fortify the story or the characters involved. One element to depend on in Johnson’s work is her characters and dialogue. The characters are always real, tangible persons one would know. The dialogue flows freely and is carefully chosen to convey those characters. “Pass Over” contains these elements in abundance. The play contains some really strong features, but feels unfinished and unpolished. The characters and the dialogue are both strengths. Johnson captures the essence of everyday people facing everyday problems. That is part of her work that shows the heart of her characters. To me, the staging was confusing. Characters just seemed to appear and disappear in the attic of an old house with no forewarning. Access to the house just seemed too easy. Anyone could walk in and go to the attic. No one heard characters climbing the stairs up to or down from the attic. The attic just seemed to have too much focus for the setting. Another piece in this play centered on the relationships of the characters. Some had a long and secretive history, but others seemed to have a quick history and no reason for animosity. And, the play ends with resolution but leave some questions unanswered. 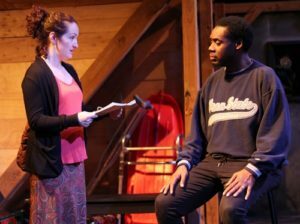 “Pass Over” gives the audience a good story to watch, but the emotional and historical ties between two families, is not fully evident. The bad times and animosity seem to destroy what must have some good and sensitive times. The strongest acting came from Robert E. Coppage III, as Paul Washington. His character served as the balance between the two opposing families. 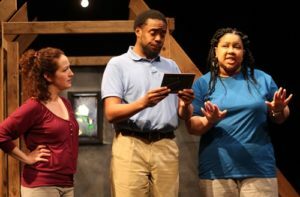 This ensemble cast included Ebonee Grace as Angelique Washington, Robert E. Coppage III as Paul Washington, Laura Schwartz as Gloria Washington, Jonathan Sachsman as Jake Levy, and Larissa Briley as Dianna Levy. The creative team was Teresa Leggard, director; Alexa Cioffi-Abt, stage manager; Theresa Kelly, set and lighting design; Camile Lerch, sound design. “Pass Over” continues at Olathe Civic Theatre Association in Olathe, Kansas through April 29. 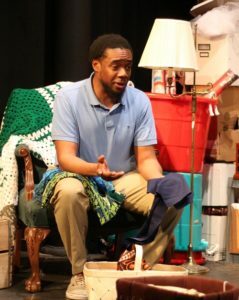 The play is a family drama and involves a clash between neighbors and the discoveries they make, leading them to learn their lives are more complicated than previously thought. The play reveals some dark secrets and unexpected turns. While the dialogue is not particularly strong, the play is more appropriate for adults rather than children. Tickets may be purchased through the OCTA website.